All original artworks presented here are executed with the finest quality archival materials and workmanship. Non digital photography processing was performed with aim to remove any irregularities on painting photos presented here, such as removal of scratches or dust, refreshment of colors etc. The colors may look slightly different then in the picture due to monitor settings. You can also order commissioned works, I’m ready to paint them in various mediums and styles. 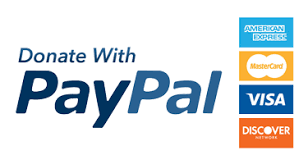 I do not require full payment in advance but reserve the right to request a small deposit which is not refundable. There is no requirement to accept the finished work: if it is not what you want, I will offer it for sale elsewhere. Please email me and state what you are interested in. Please remember to include a telephone number and address in your message. I will then confirm availability and the total price including post and packing . If you wish to proceed, I will send you an invoice for the agreed amount. A deposit of 50% will hold a painting on layaway for 30 days. You may return the artwork for a full refund, excluding shipping fees, or exchange it for something else. The artist must be contacted by you within 5 days of receipt of the painting to receive a refund or art exchange. Cost and time depends on the zone and weight of packed artwork. Orders are shipped within three working days of when payment clears. Special orders such as commissions, multiple items, large framed originals will be estimated for you. The item will be shipped only after you have been notified by email of the amount and anticipated arrival date. Every care is taken with packing, shipping and assuring the safe delivery of your artwork. Ordered artworks are packaged in a way to evade any damages during usual transport. (I have sold and shipped more than 800+ artworks by the date). TIME OF DELIVERY – varies depending on the time needed to acquire an export permit and time needed to deliver the order to its final destination. Depending on destination country, usual delivery time is 4-9 days. It could be prolonged if your customs holds it for the inspection. All custom/duty fees are the buyer’s responsibility and are not included in my shipping charges. 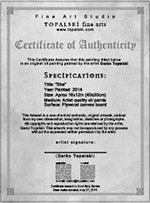 Just to remind you, here at Topalski fine arts you are buying original artworks directly from the artist – Darko Topalski.